Perfect for Team building workshops! Our Bodhrán workshop offers you the opportunity to get your hands on an Irish bodhrán (pronounced bow-rawn) under the experienced eye of one of the best players in the world. This unique instrument is made up of a wooden frame and typically covered in goatskin which is played using a wooden stick called a tipper or cipín. You will learn various ways of how to get different sounds from the bodhrán in this fun and very entertaining workshop. The main rhythms of Irish music which include reels and jigs are covered. 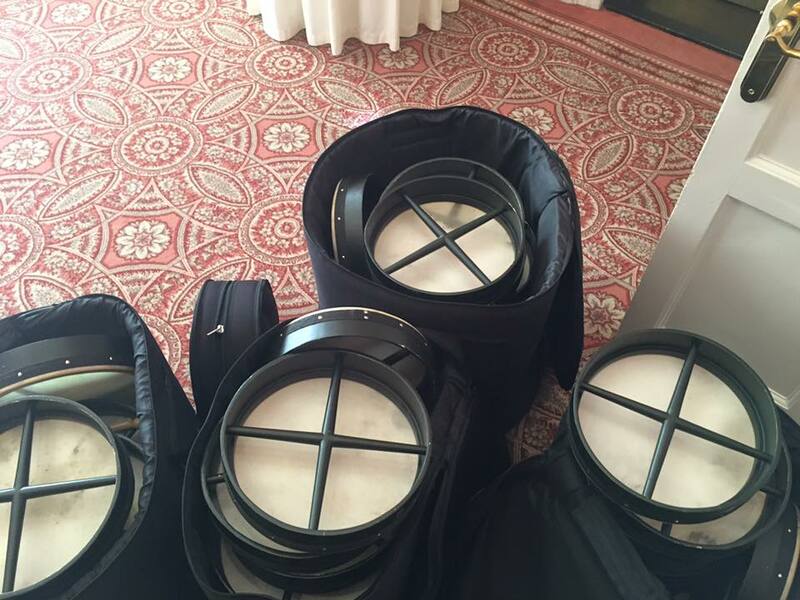 Everybody in the group will be given a drum, resulting in an all-drumming Celtic Rhythm Band! If you would like to book or hire bodhrán workshops for your next event, then please get in touch! "It is our pleasure to recommend 360 Entertainment to anyone looking for creative and impactful entertainment solutions, we will certainly be working with them again." We are an Irish entertainment company in Dublin specialising in entertainment for events of all types and sizes.